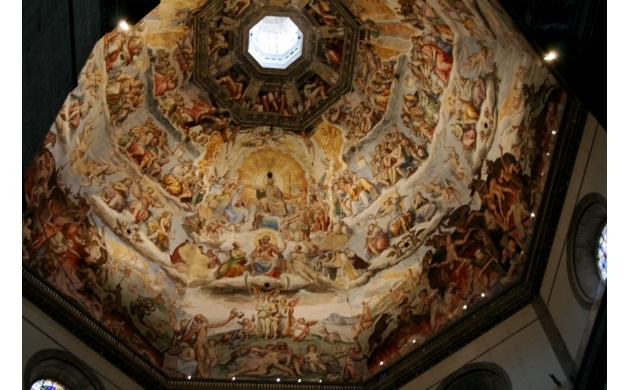 Every year around the summer solstice in June, Florence's Cathedral is host to a truly extraordinary event. Going all the way back to Renaissance times, when the Duomo was in fact used for advanced astronomical observations and calculations, the Cathedral has seen the curious apparition of the sun flashing through Brunelleschi's dome, casting an incredible white circle onto the inside of the Duomo. This spectacular solar display comes to rest at a specific spot, marked with a marble circle on the floor, whose position was calculated by Paolo dal Pozzo Toscanelli in 1475. It was only in 1996 that this scientifically curious aspect of the Cathedral was restored to full working order and small groups were allowed inside to witness the spectacle. But for much of its early life, the Duomo was a hub of astronomical activity, with astronomers taking advantage of the height of the cupola and the particular layout of the cathedral to perform previously impossible measurements and calculations. A gnomon is the term used to describe the part of a sundial that casts a shadow. Often an obelisk, this tool was used by astronomers to measure the position of the sun in the sky. The higher the obelisk, the more precise the measurement. The gnomon in the Duomo is not an obelisk, but is still the largest that was ever built - thanks to a bronze circle high up in the lantern. 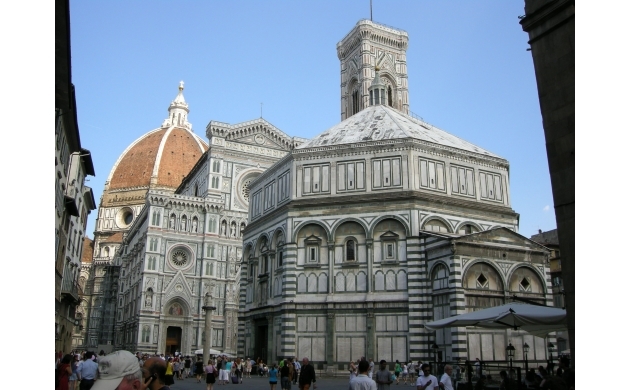 During the construction of the cathedral, Toscanelli assisted the architect Brunelleschi with his calculations regarding the Duomo, and in 1475 he was allowed to place a small bronze circle (la bronzina) just below the windows in the lantern of the Duomo. The bronze circle sits at a height of 90 meters and is only 5cm in width. The sun, passing through this bronze circle, casts a ray of light which shines through to the floor of the building in the Cappella Della Croce. 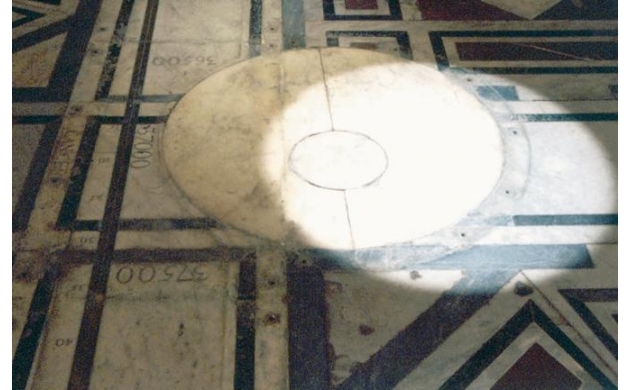 The precise spot where this light shines onto the floor during the summer solstice is marked by Toscanelli's marble disk which is still visible today. This astronomical feature of the Cathedral was used for various types of scientific calculations, including the reformation of the calendar, and has been utilized to study the progression of eclipses, sun spots, and the movement of Venus across the sun. Today, little is left of the old astronomical activity associated with the church. But every year small crowds (who are lucky enough to have gained admission) watch the 'show of the sun' as the the light casts its magical circle between 12:30 and 13:30. Groups should be limited to 150 people, so it is important to make plans if you want to see this solar spectacle right inside the Duomo. An astronomer will be on hand to provide commentary. So for those of you with a scientific heart, it's an event that's not to be missed. Four times a year in the month of June, typically concluding on the summer solstice (June 21) the longest day of the year. The exact dates are given on the website of the Duomo. Entrance is by the Porta dei Canonici on the south side of the Cathedral. Admission is free.